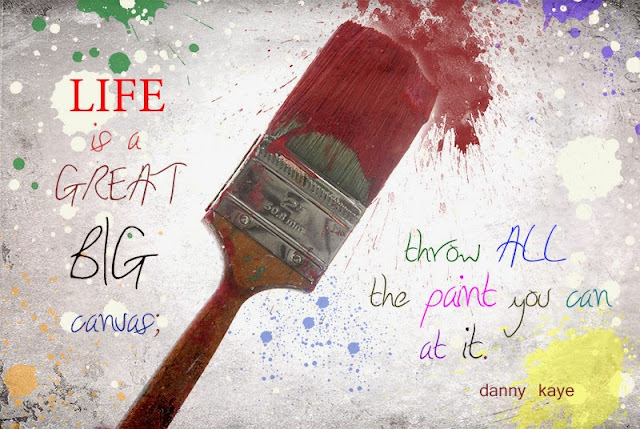 Throw Paint! - Jill Ruth & Co. Isn't this a great quote?! I took a picture of my paint brush after I painted the cupboard in the basement and this is what it led to. This could be a great life motto. Yesterday, for me, the day was full of all the icky worries and heaviness of the world. I'm not sure why, but this is what I'm keeping in mind today, throwing paint! And, it just makes me smile. How about all of you? Do you need to throw paint at your life? I'm linking up today with Kim and Texture Tuesday. The above image was textured with Kim's "oceanside" texture. That expression could be interpreted in all sorts of wonderful ways. I love it! Live life to the full! Yes, a great quote! May you never run out of paint! Great image - and I love that quote! Love this, it made me smile too! this is so fun, love all the color. Yes, that's a great quote ! Yes, I love this quote! And I love how you've presented it here! Love your paint throwing !! and the quote too !